Hair color can highlight your identity, give you confidence and make you feel and look your best! At HQ Salon, our master stylists are the best colorists in and around Lakewood. Up to date with the latest trends and innovations in hair coloring, we can transform your look, mood and vibe with an amazing color treatment. Corrective color and double process prices are quoted by consultation. You may email info@hqsalondenver.com or text 720-400-9655 a picture of your hair and an inspiration picture for an estimated quote. Gift Cards Available. Ask about our Referral Program. Every 6 to 8 weeks is usually the ideal timeframe for getting hair color touched up. If your hair grows at an average rate, it’ll grow about an inch after 6 to 8 weeks. Getting hair color touched up after it has grown about an inch can keep color consistent across new hair and previously colored hair. Shampoo and condition with sulfate-free products. HQ Salon is a chic, full-service salon offering exceptional hair coloring services, amazing products and gorgeous results. Our expert Lakewood colorists cater to all types of hair and provide relaxing, luxurious experiences while creating dazzling looks. 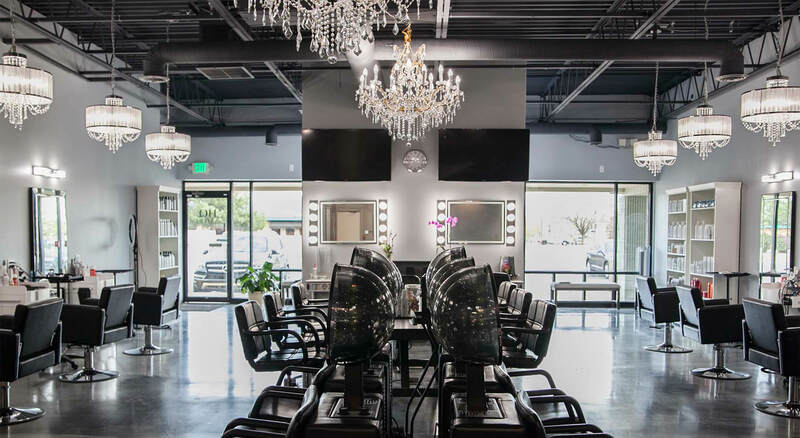 HQ Salon welcomes all types of clients – women, men and children, and we offer amenities like a beer and wine bar, a snack bar, free parking and free WiFi. We look forward to serving & styling you!